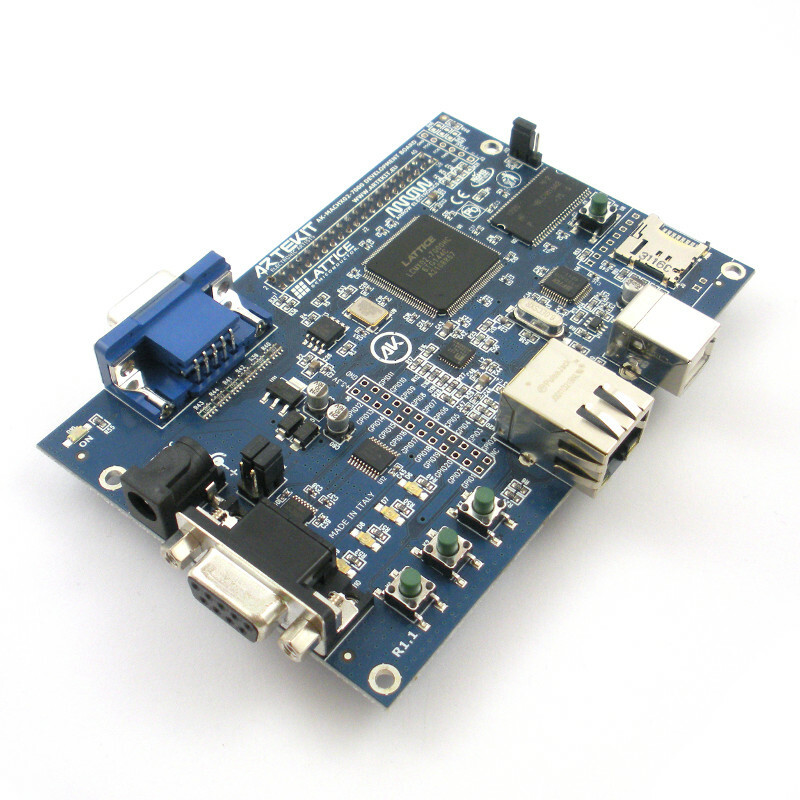 The AK-MACHXO2-7000 Development Kit is an easy-to-use, low cost platform for evaluating and designing with Lattice MachXO2 FPGAs. 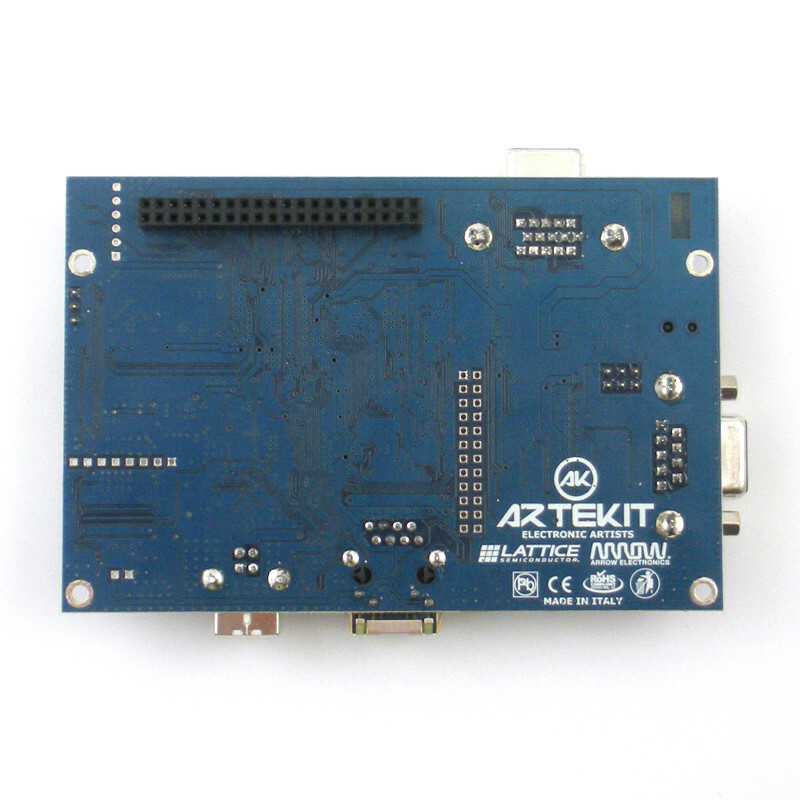 Developed in partnership with Lattice Semiconductors and Arrow Electronics Europe. The AK-MACHXO2-7000 FPGA development board allows you to evaluate the powerful MachXO2 FPGA from Lattice Semiconductor. 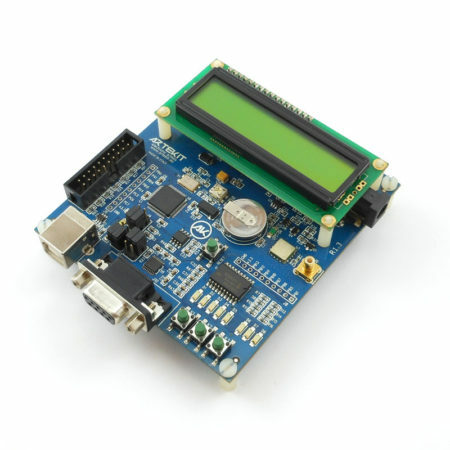 The AK-MACHXO2-7000 comes with a preprogrammed system-on-chip demo. 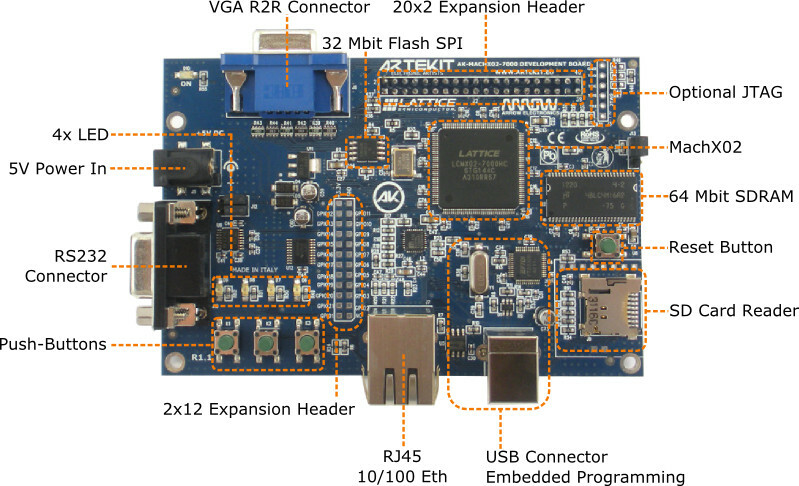 The SoC integrates multiple reference design including the LatticeMICO32 microcontroller, wishbone interconnect and peripheral controllers for SPI and SDRAM. 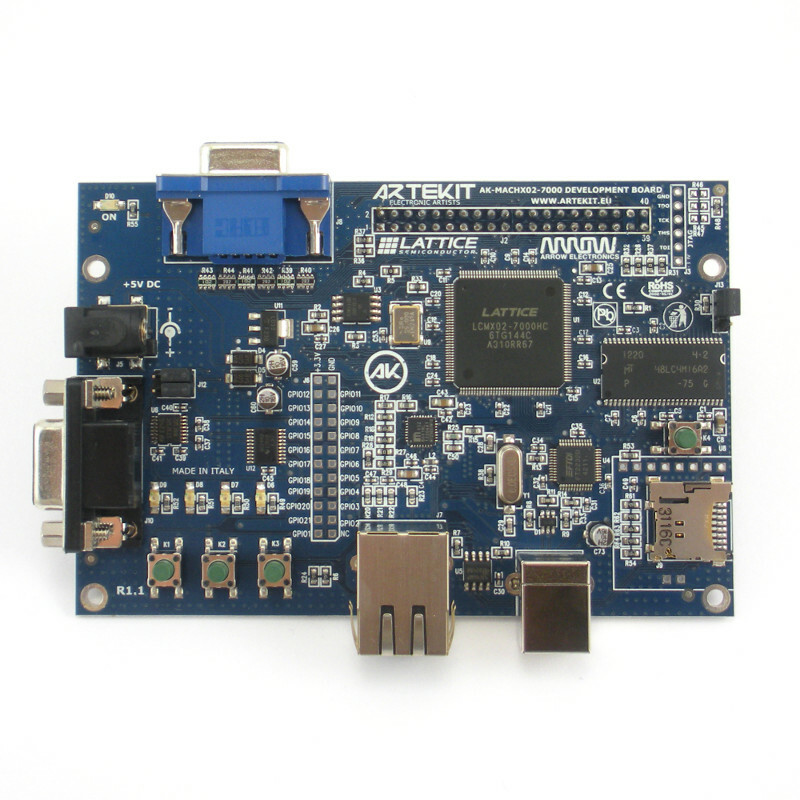 The Lattice MachXO2 implements the LatticeMico32 soft microcontroller, that can be programmed using the LatticeMico System Development Tools. 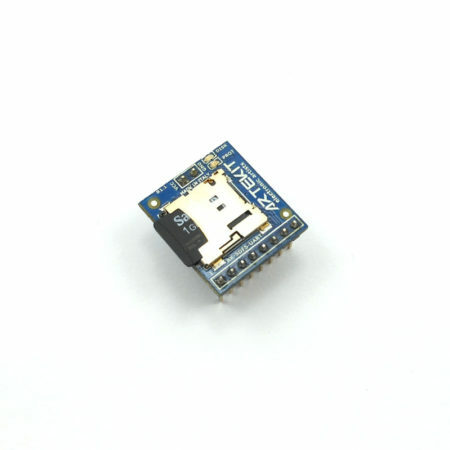 32 Mbit SPI Flash Memory. 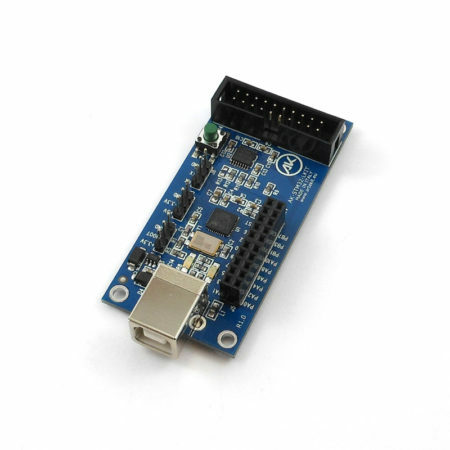 On-Board USB controller (FTDI) for programming (JTAG), control (UART) and power. 2×20 and 2×12 Expansion Headers. Push-Buttons and LED for general purpose IO and reset. 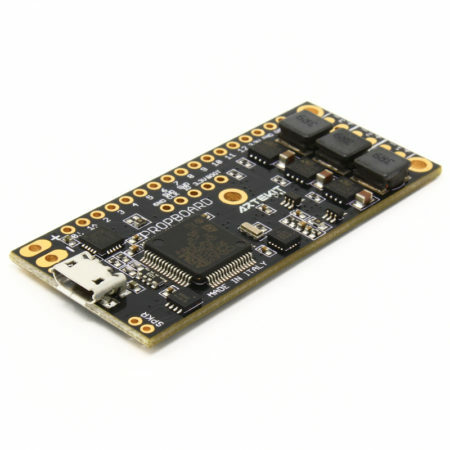 Hello – do you know when this board will be in stock again ? 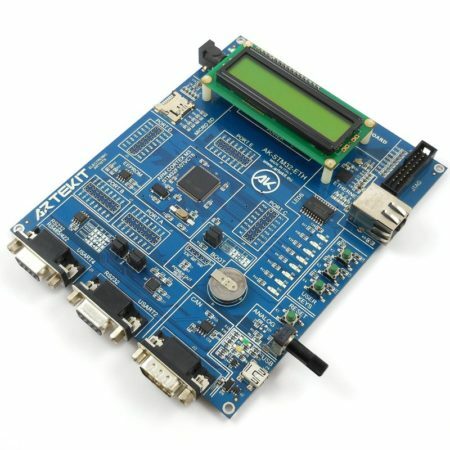 Ivan, do you have these boards built yet?? 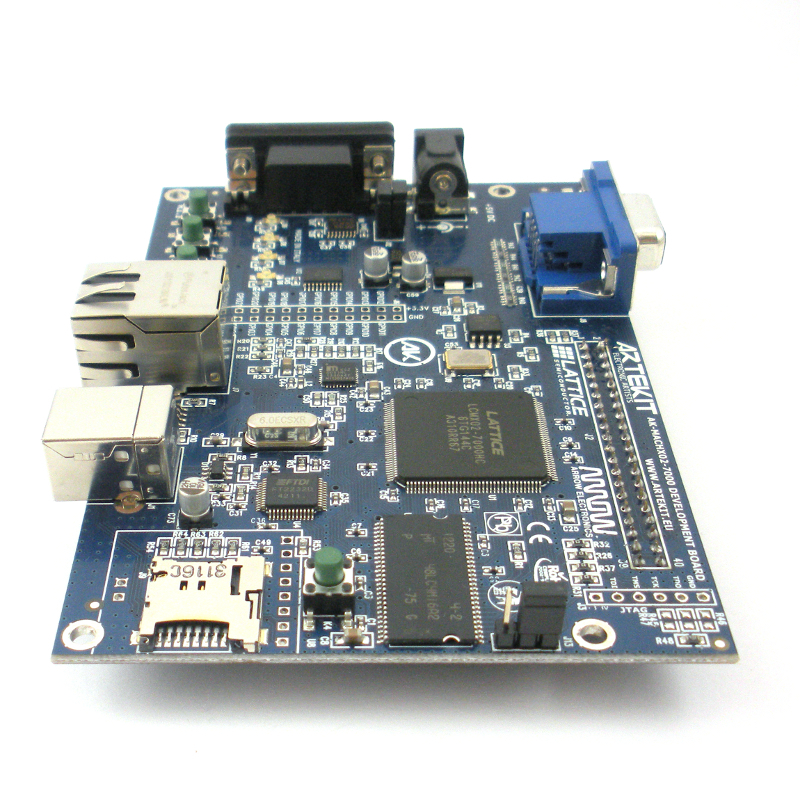 The boards are available since January.